A unique hotel experience – sleep in a lighthouse, or just next door! 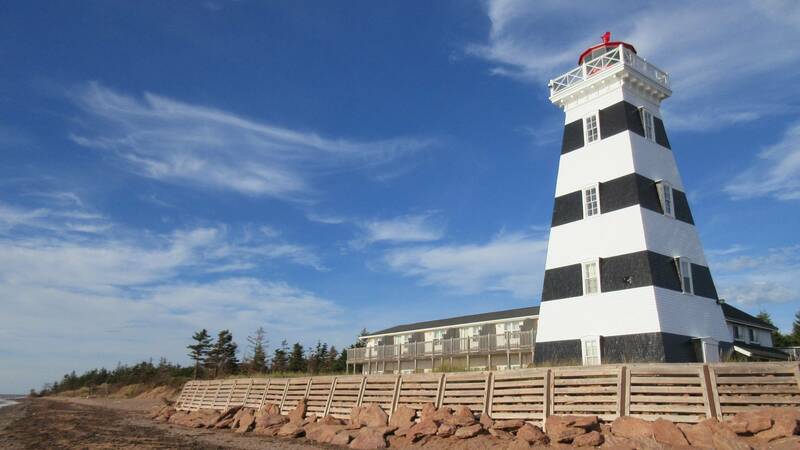 West Point is a quiet and secluded community with a diverse eco-system of beaches, dunes and wooded areas overlooking the Northumberland Strait. 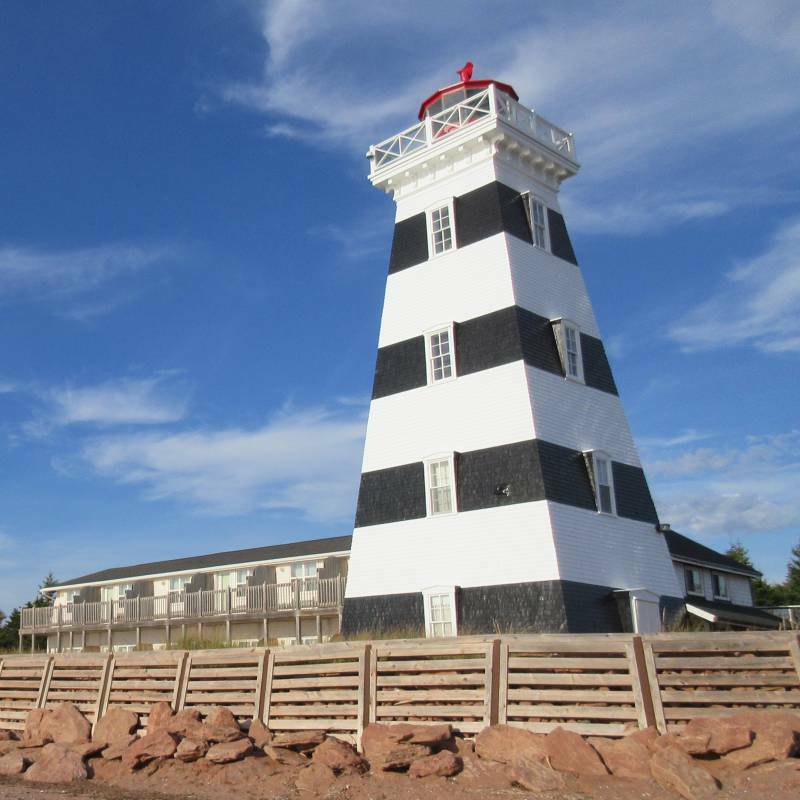 The Lighthouse is one of the most recognisable landmarks on Prince Edward Island, and has recently been redeveloped and expanded; the Lighthouse and museum have been restored and the restaurant relocated to West Point harbour. Two of the thirteen rooms are located in the actual Lighthouse. Naturally all rooms have amazing views over the Strait. Tower Room: The Tower Room is located on the second floor of the actual Lighthouse. It has a queen size bed, full bath and windows to the water. Max occupancy 2. Keeper’s Quarters: The Keepers Quarters is on the second floor of the Lighthouse Museum, where the Lighthouse keeper’s family resided. 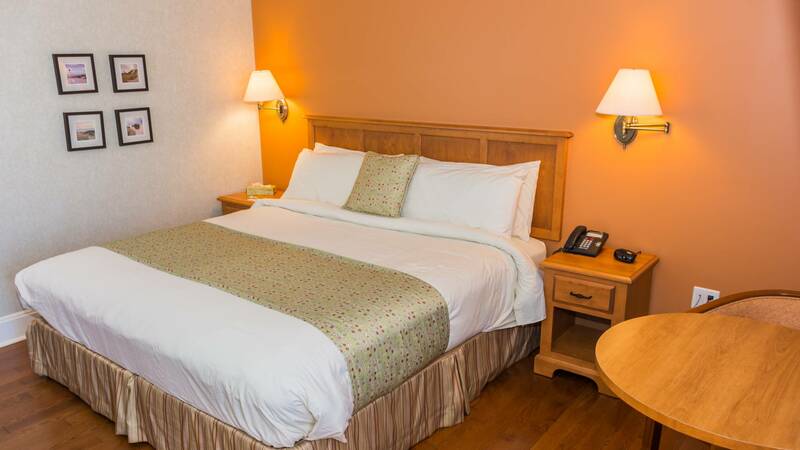 Two queen sized beds and private bathroom. Max occupancy 4. 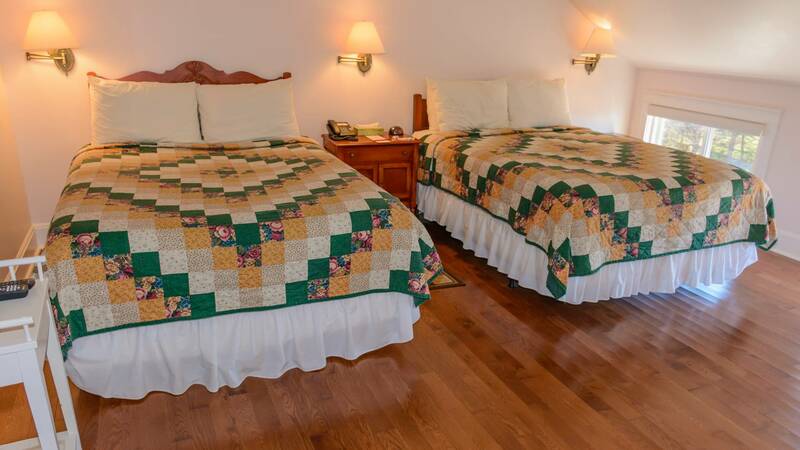 Second Floor Seaside Rooms: Available with king-sized bed, or two queen-sized beds.All rooms have a walk-out deck, private bathroom, air conditioning, satellite TV, fridge and microwave. Wheelchair accessible. First Floor Seaside Rooms: King-sized bed, walk-out deck, private bathroom, air conditioning, satellite TV, fridge and microwave. Wheelchair accessible. To stay in such a scenic location and so near to the beach would be a treat on its own, but for the accommodation to be an iconic landmark is truly unforgettable.